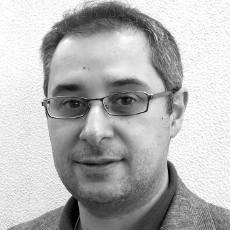 Professor Abelardo Pardo specialises in technology enhanced learning with emphasis on learning and behavioural analytics, computer supported collaborative learning, and personalization of learning experiences. He is a member of the executive committee of the Society for Learning Analytics Research. In his (scarce) spare time, he maintains the blog T2T. Techies meet Teachers, which focuses on issues related to technology when used in learning experiences. Role: The responsibilities include leading the execution of the project, ensuring ongoing communication, and assuring collaboration between team members and work package leaders. He will also be responsible for the case studies at The University of Sydney. Kathryn is Head of the Quality and Analytics (QA) Group within the Deputy Vice-Chancellor (Education) Portfolio at The University of Sydney. The QA Group’s work centres around the evaluation of learning and teaching, including surveys of the student experience, as well as academic and learning analytics. Role: Kathryn will participate in the identification of institutional support requirements to promote systemic adoption of the outcomes of the project. She will provide an institutional perspective, and articulate the connection in terms of data usage between institution wide units and academics coordinating courses with large student cohorts. Danny is a molecular biologist by training, programmer by night, researcher and academic developer by day, and educator at heart. 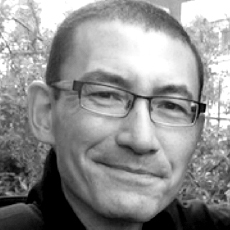 He works at the confluence of educational technology, student engagement, learning analytics/educational data science, pedagogical research, organisational leadership, and professional development. 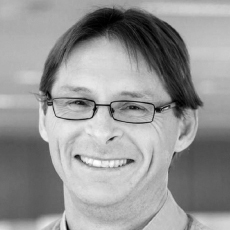 He is currently a Senior Lecturer in Academic Development and Leadership in the Educational Innovation team in the DVC (Education) Portfolio at the University of Sydney, a Visiting Fellow in the Department of Computing at Macquarie University, and an Honorary Associate in the School of Life and Environmental Sciences at the University of Sydney. Role: Danny will contribute expertise from an existing large-scale approach to PLSAs, and assist with connecting instructor perspectives with data analysis needs and actions arising. He will also contribute to practical dissemination of the initiative. Role: Shane and the UNISA team will lead the main platform development and internal source integrations. 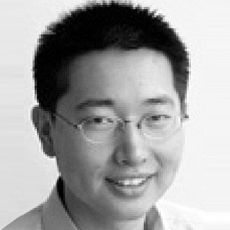 Dr Jing Gao is a senior lecturer and holds academic qualifications in Business Management, Computer Science and a PhD in Information Systems. He is an active researcher in the area of Information Quality and an IT solution consultant for many large organisations in Australia. He has developed many commercial software solutions for both public and private organisations such as SA Water, Royal Australian Navy, AGL and Macquarie Generation. Role: Dr Jing Gao is leading the UniSA based software development team in providing the overall system architecture and implementing the OnTask system. 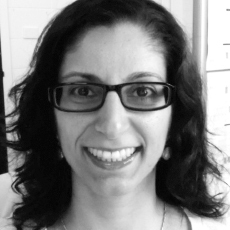 Negin is a senior lecturer and academic developer at Teaching Innovation Unit at the University of South Australia. She holds a Doctorate in Education with a focus on online learning and distance education and a Masters in Educational Technology. 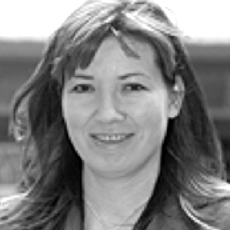 With over 10 years of experience working in higher education institutions in Canada and Australia, Negin has extensive experience in managing, designing, evaluating, and researching educational technology in higher education in various disciplines and in both fully online and blend learning contexts. Role: Negin will coordinate the deployment of the case studies at the University of Australia and participate in the development of the dissemination kit and dissemination of project results. 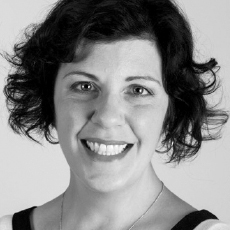 Dr Sheridan Gentili has a background in physiology with a focus on the early origins of metabolic health. She graduated from her Ph.D. in 2006 from the University of Adelaide, and commenced as Lecturer in Biological Science in 2007, coordinating both Molecules to Tissues A and B. In 2014 Dr Gentili was awarded the UniSA Citation for Outstanding Contribution to Student Learning. Dr Gentili’s research focuses on the impact that diets high in carbohydrates have on the development of metabolic disorders and whether dietary interventions could play a role in alleviating such effects. Dr Gentili has recently commenced a Graduate Diploma in Biostatistics through the Biostatistics Collaboration of Australia. Role: Sheridan will coordinate the deployment of the case studies at UNISA. She will also contribute to the design of the OnTask deployment guidelines informed by the case studies. Prof Simon Buckingham Shum is Professor of Learning Informatics, and Director of the Connected Intelligence Centre (CIC) at UTS. CIC works at the intersection of research and teaching/learning, to break new ground in the use of data and analytics within UTS to improve the student experience. 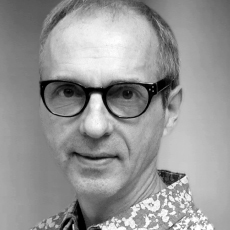 Prior to joining UTS, Simon was Professor of Learning Informatics and Associate Director (Technology) at the the UK Open University’s Knowledge Media Institute, which he joined at its launch in 1995. KMi is now a 70-person lab developing and researching the future internet for the knowledge society. Role: Simon will contribute to the design of deployment guidelines for OnTask, provide guidance to deploy new case studies and widen the impact and uptake of new institutions of OnTask. Jurgen is an educational researcher in the Science and Mathematics Education Research and Innovation Team (SciMERIT) in the Faculty of Science at the University of Technology and recipient of the 2016 Australian Awards for University Teaching Citation. His particular interests are in learning and teaching enhancement through learning analytics, authentic learning environments and transition pedagogy. Role: Jurgen will lead a Pilot Study to collect and unify the requirements from institutions to support the deployment of OnTask to instructors. He will also contribute to the creation of the deployment guidelines for OnTask and will be responsible for the case study in the area of science. Roberto (B.Eng., M. IT., Ph. D.) is a postdoctoral research associate in the Connected Intelligence Centre (CIC) at the University of Technology, Sydney (UTS), Australia, working with Prof. Simon Buckingham Shum. He obtained his doctorate degree in 2014 from the Computer Human Adapted Interaction Research Group (CHAI) at The University of Sydney, Australia. He worked on Prof. Peter Goodyear’s Australian Research Council (ARC) Laureate Fellowship program – ‘Learning, technology and design: architectures for productive networked learning’ at Centre for Research on Computer Supported Learning and Cognition (CoCo) in The University of Sydney. Role: Roberto will contribute across all aspects of the project to facilitate a fluid information exchange between case studies, deployment guidelines, indicator creation workflows and institutional requirements. 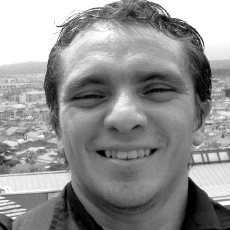 Lorenzo’s background is in Psychology, Learning and Teaching in the Higher Education sector and he has a lot of experience in IT/e-learning developments and deployments. His expertise is into learning processes at the crossing between cognitive psychology, differential psychology, education and human-computer interaction. Together with his interest in innovation and technology, he has been leading various learning analytics initiatives at UNSW Sydney. 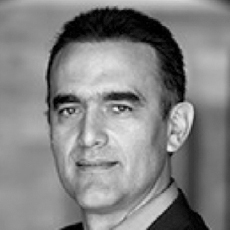 Role: Lorenzo will lead the execution of Indicator creation workflow and coordinate the deployment of multiple case studies at UNSW Sydney. He will also contribute to the design of the OnTask deployment guidelines informed by the case studies. 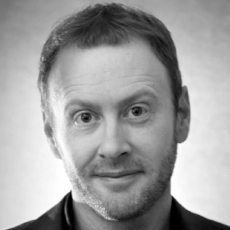 Dr Simon McIntyre is the Director of Learning and Innovation at UNSW Australia | Art & Design. After developing and teaching online courses in art and design for several years, he helped many other academics design and teach online through designing and convening a range of academic development programs. 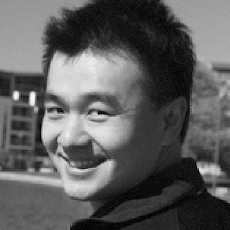 Simon has pioneered learning and teaching approaches for fully online and blended education across several disciplines, and has helped establish an internationally recognised quality online learning reputation for the Faculty and for UNSW Sydney. Role: Simon will lead the deployment of the case study in the area of Art & Design. He will also contribute to the dissemination of the project results as well as the collection of institutional requirements. 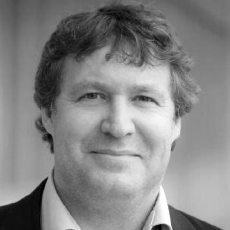 Prof George Siemens researches on digital learning, systemic change, networks, analytics, and wellness in education. He is the author of Knowing Knowledge, an exploration of how the context and characteristics of knowledge have changed and what it means to organizations today, and the Handbook of Emerging Technologies for Learning. George is Professor and Executive Director of the Learning Innovation and Networked Knowledge Research Lab at the University of Texas Arlington. Role: George will contribute to the deployment of OnTask in the context of MOOCs, and design the dissemination strategy in Australian universities and international events. 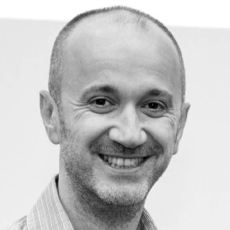 Prof Dragan Gasevic is a Professor and Chair in Learning Analytics and Informatics in the Moray House School of Education and the School of Informatics at The University of Edinburgh. Dragon is also the President of the Society for Learning Analytics Research, an Adjunct Professor in the School of Interactive Arts and Technology at Simon Fraser University, Adjunct Professor in the School of Education at the University of South Australia, and a Research Scientist in the Link Research Lab at the University of Texas, Arlington. Role: Dragan will support the dissemination activities through the planning and writing of scholarly articles and their submission to the national and international dissemination channels. 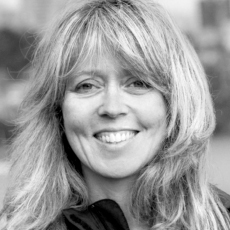 Karin is a lecturer and Scientia Education Academy Fellow at UNSW Sydney with a background in Architecture and Design. Her expertise focuses on innovative teaching practice and curriculum development, particularly through the integration of research informed technology. Karin has also developed award winning Professional Development programs and Open Educational Resources (OER), and has project managed several multi-institutional competitive grants. Role: Karin is the Project Manager for the project. She will also lead the deployment of one of the case studies at UNSW Sydney.